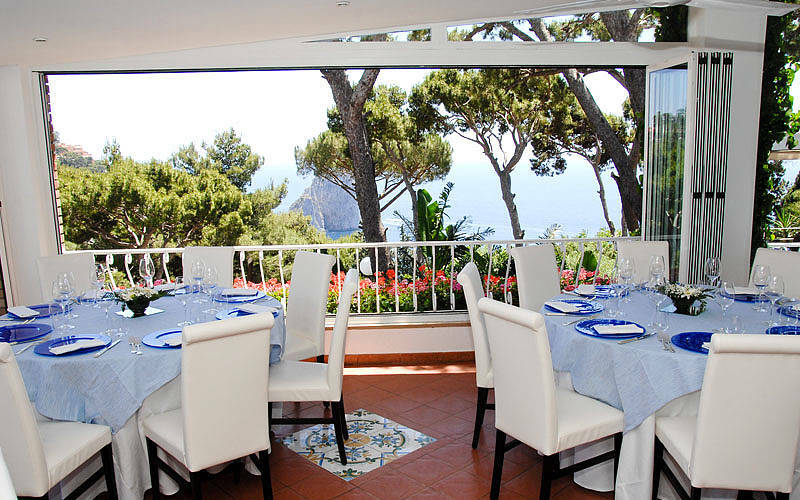 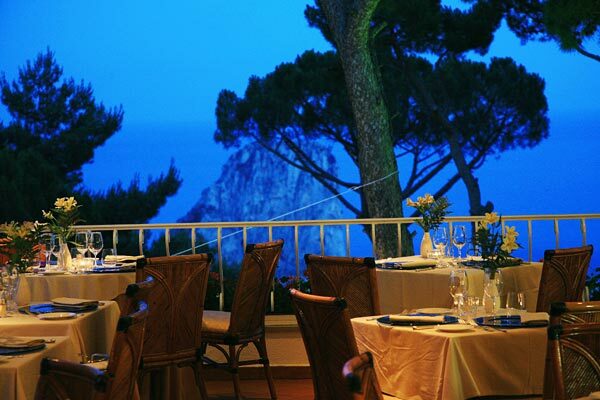 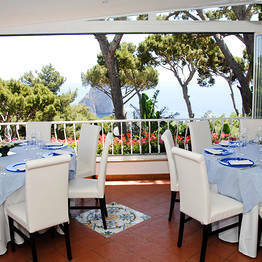 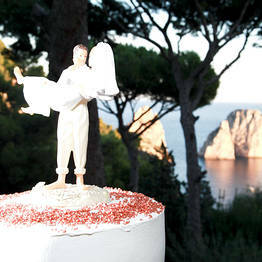 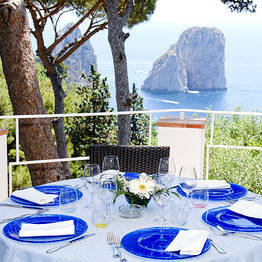 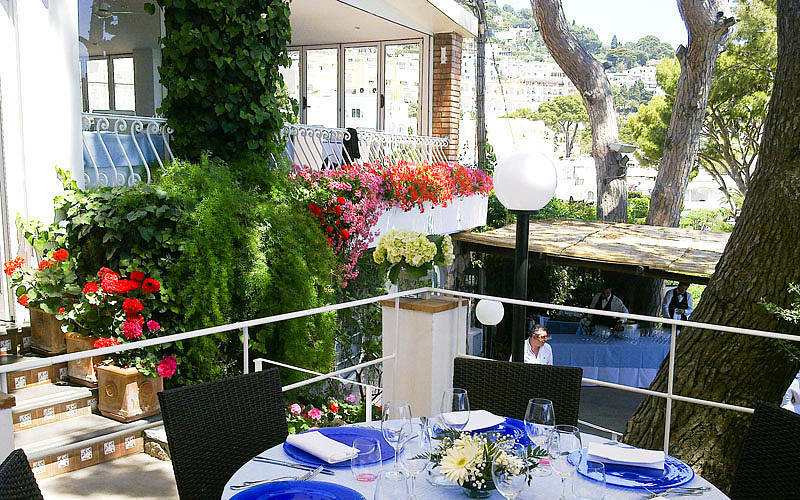 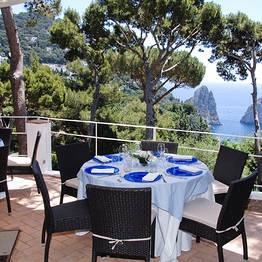 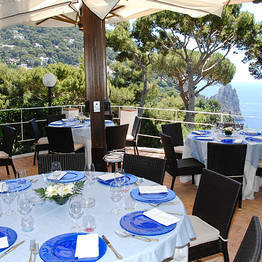 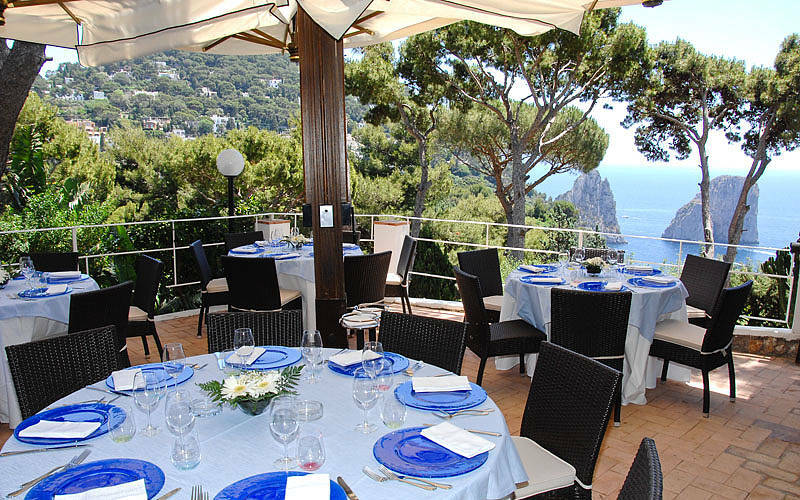 Restaurant Il Geranio on Capri - Info and Photos: Fine food and a view ... of the Faraglioni! 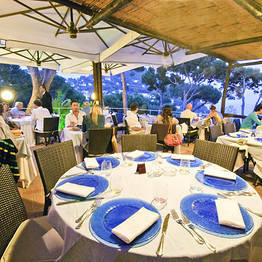 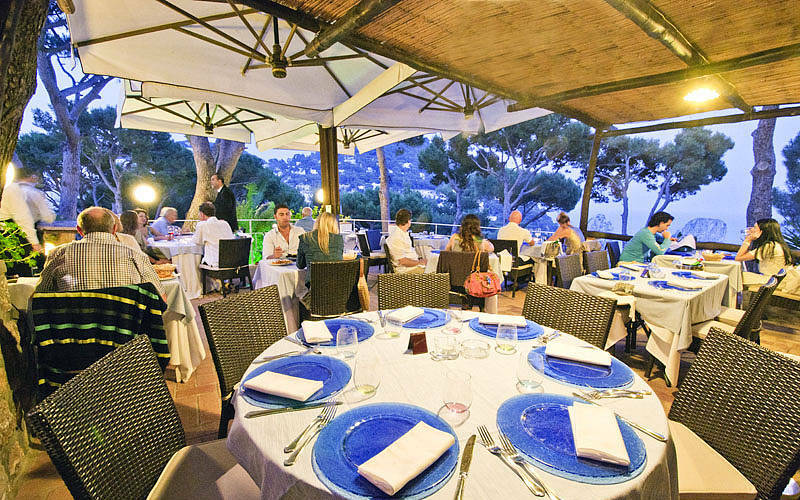 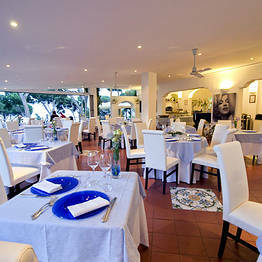 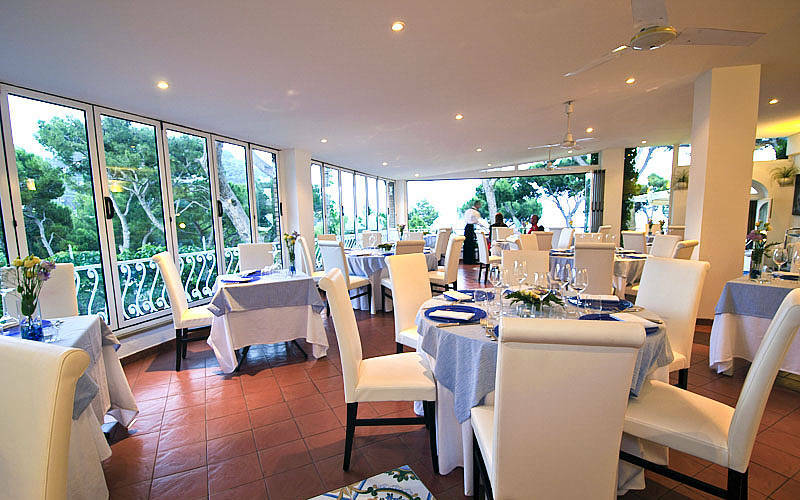 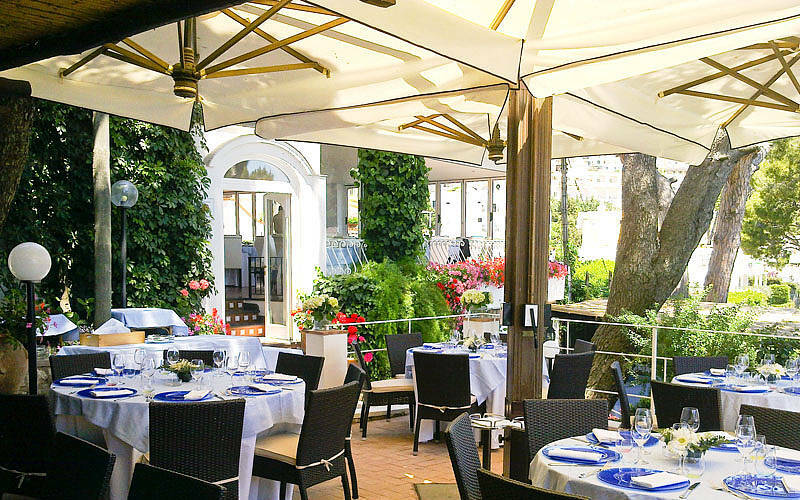 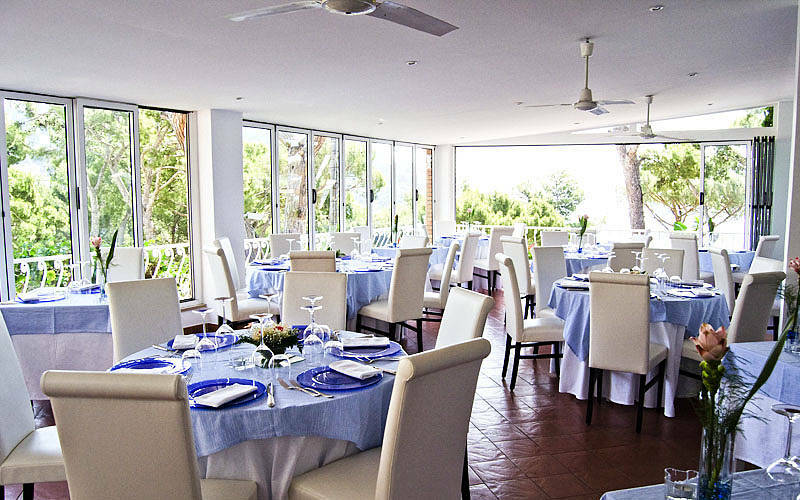 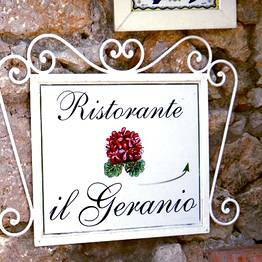 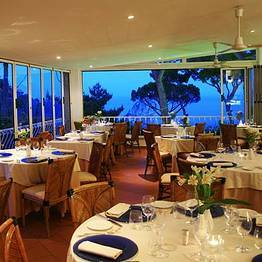 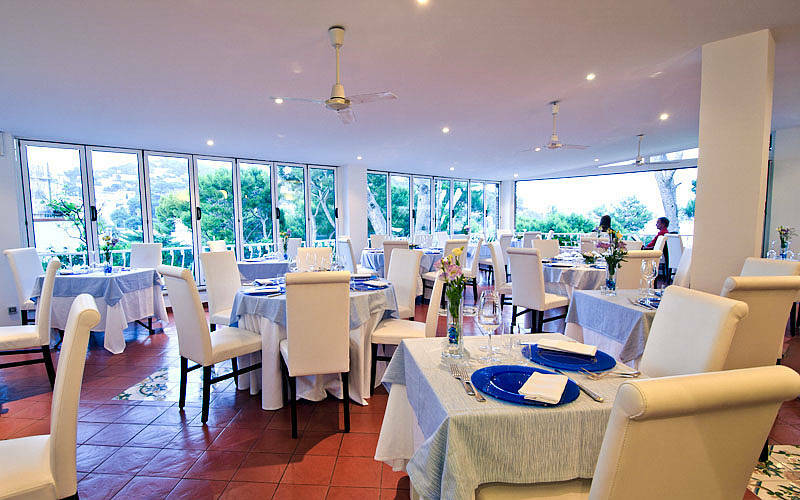 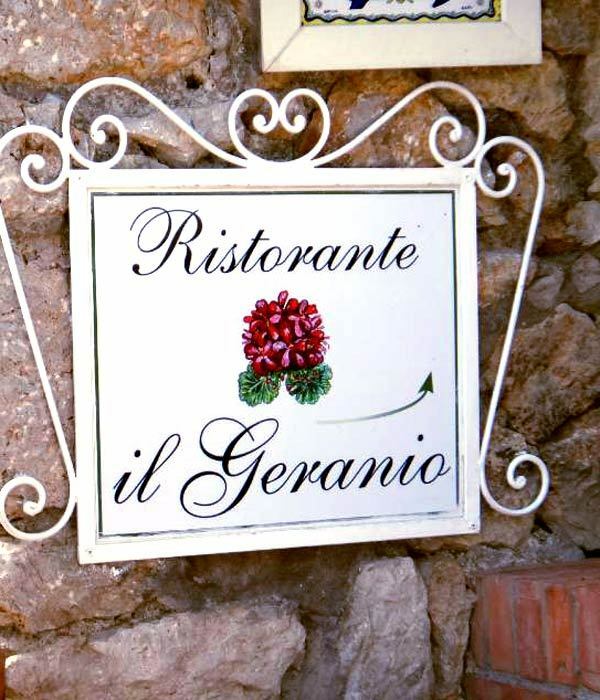 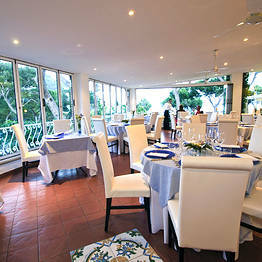 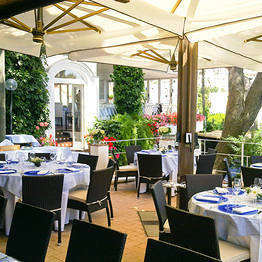 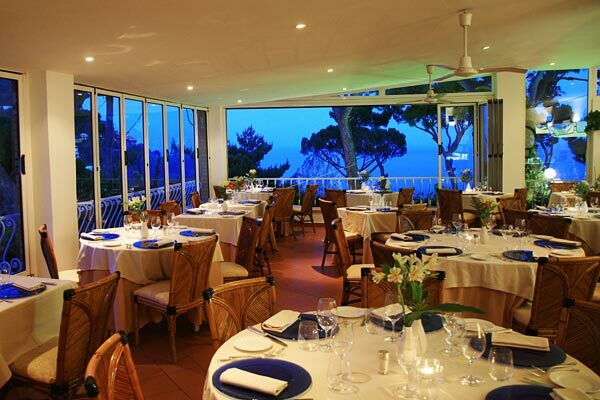 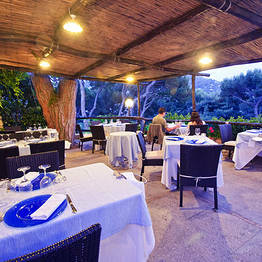 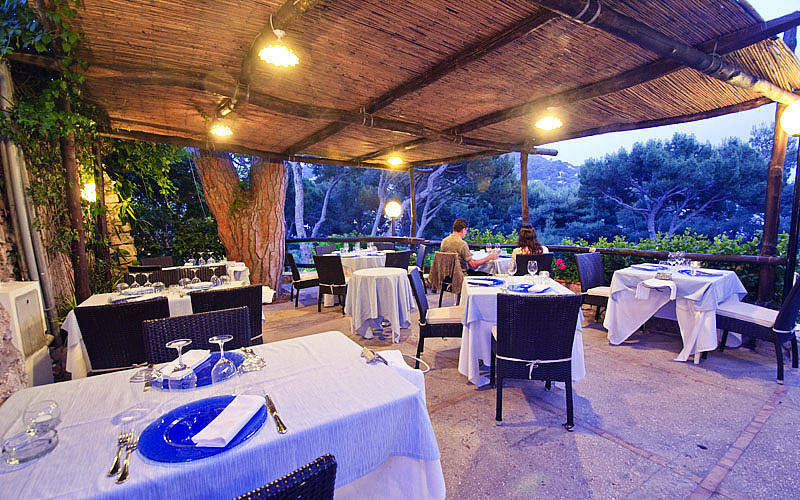 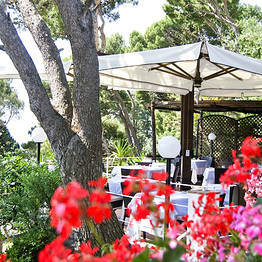 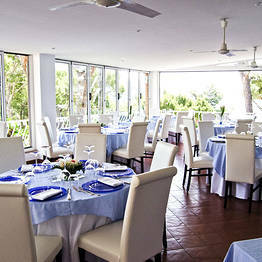 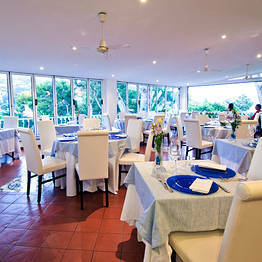 Il Geranio restaurant is a diamond set in "Mediterranean pearl"! 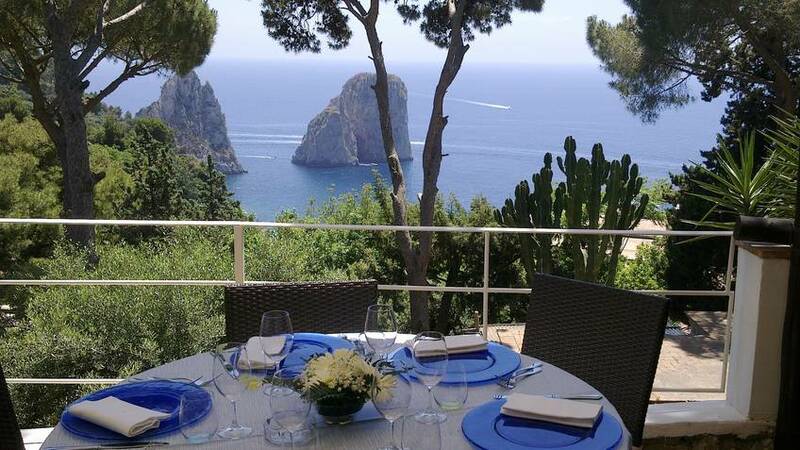 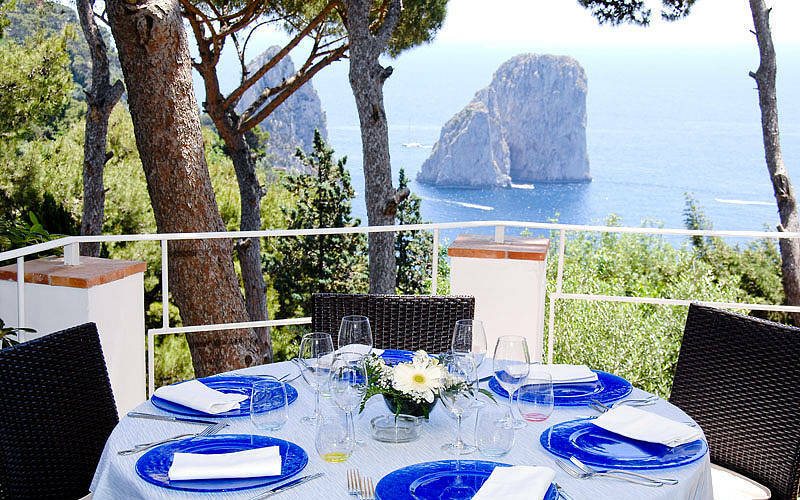 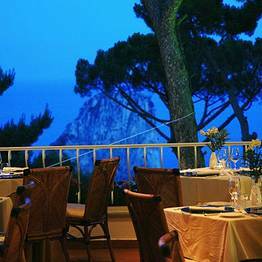 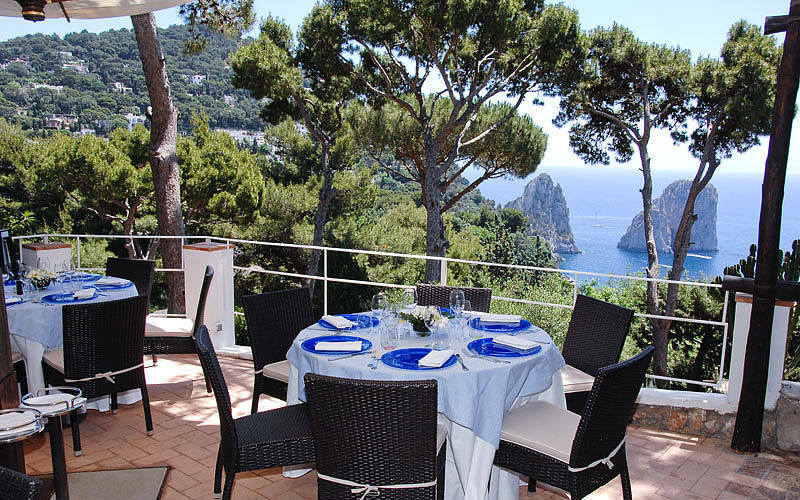 Imperial island since the time of Augusto and Tiberio, who chose it for their imperial residence, Capri is a rare and beautiful jewel to be discovered and admired inch by inch along its enchanting itineraries. 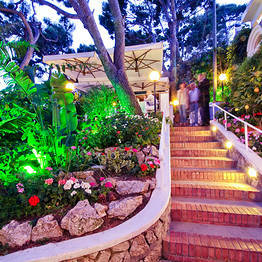 Parco Augusto was built in the last century, commissioned by Alfred Krupp, a german engineer. 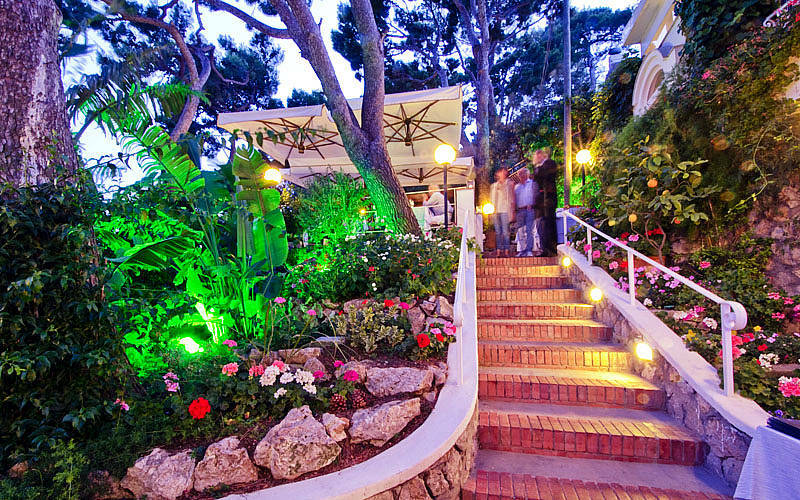 Its beautiful gardens, situated on a rocky terrace, provide a marvellous display of flowers and shrubs in every season of the year. 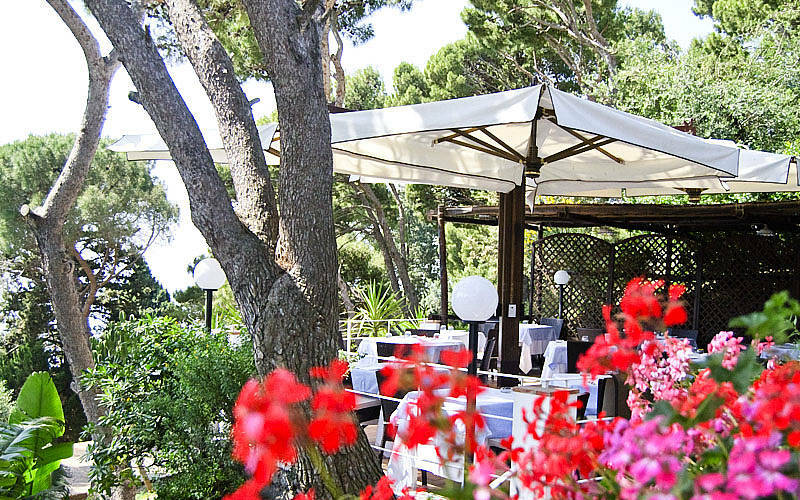 The restaurant Il Geranio overlooks these magnificent gardens, giving a stunning view on the Faraglioni as well to its clients. 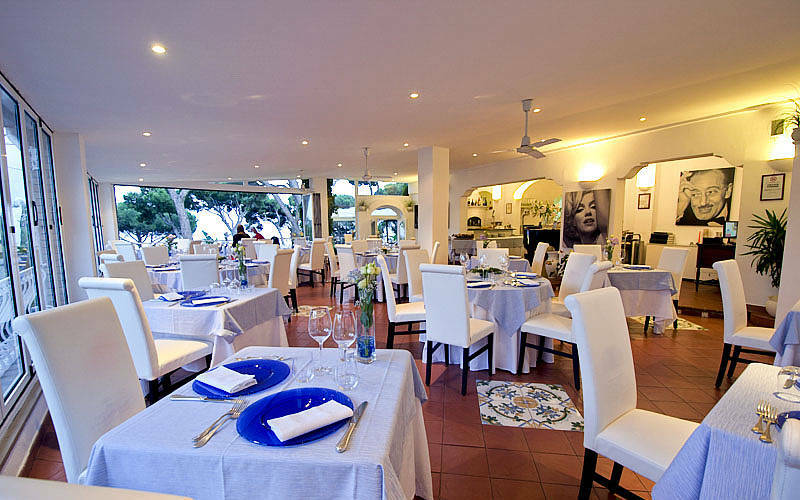 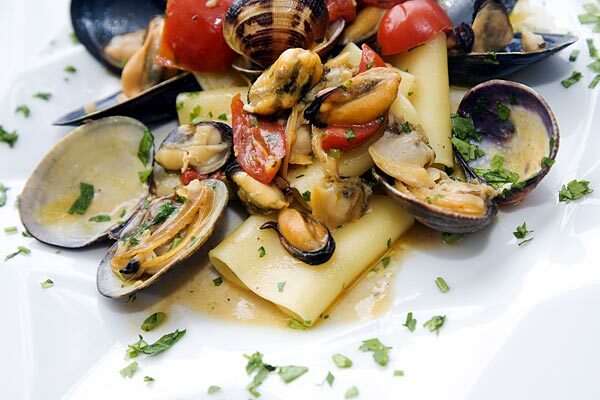 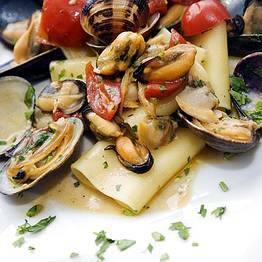 Geranio's seasonal Neapolitan and Mediterranean cuisine is made using excellent seafood and sun-ripened fruit and vegetables. 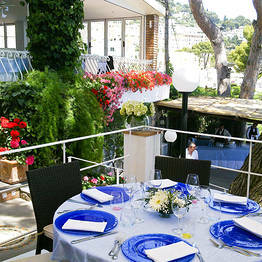 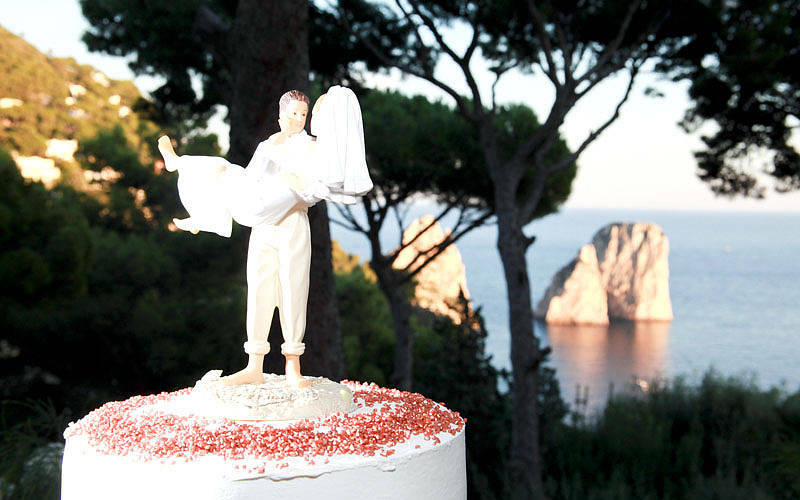 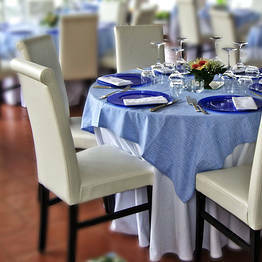 The restaurant is the perfect location in which to celebrate your wedding day like in a dream. 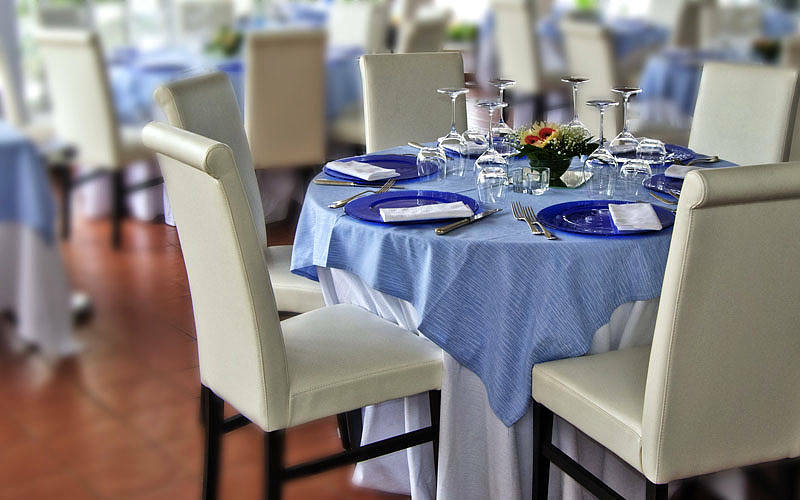 Geranio's events team will be pleased to organize anything from a champagne toast to a seated dinner with live musical entertainment al night long, to make your party unforgettable.